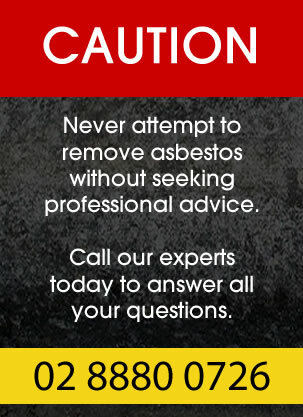 VIP Asbestos Removal Sydney is a fully licensed and qualified team ready to handle all asbestos disposal projects. Disposal of asbestos materials is a complicated and detail-oriented task that should only be handled by trained professionals. The core of the task is protecting ourselves and the public from the threat of inhaling asbestos fibres the materials may shed. This risk can be limited in several different ways. The materials should be wetted down before being moved or handled. This will prevent them from shedding a great deal of fibres, and will encourage those that are shed to stick to the parent material. Thick plastic sheeting (of at least 200 microns thickness) should be used to wrap the material before it is loaded into any kind of vehicle or moved off site by hand. Seal the plastic with duct tape. Care must be taken to avoid breaking or crumbling any asbestos containing material, as this will nearly always put fibres in the air. Very old asbestos containing materials and roofing tiles in particular should always be considered fragile and handled very carefully. Protective equipment must be worn, including a breathing apparatus with a HEPA filter, as well as eye protection and hooded, disposable overalls, and boots without laces. The overalls worn must be discarded after working, and treated as an asbestos-containing material themselves. All wrapped or bagged asbestos containing materials should be clearly labelled as hazardous and containing asbestos. Any material that must be left in a vehicle overnight or unsupervised must be securely locked. You must store this material in a heavy duty polythene bag which is at least 2 mm thick, and sealed with a wire tie. No bag may contain more than 2k kg of material. Each bag must be less than 0.9 metres wide and less than 1.2 metres tall. The bags must be marked “CAUTION ASBESTOS” in letters at least 40 mm tall. All asbestos containing waste must then be transported to an appropriate disposal site in accordance with the provisions from the NSW EPA (Environmental Protection Authority. If you have material you need disposed of call the experts today. We will have a contractor visit your property to give a detailed estimate on your job.